Help Us Get More Trees! 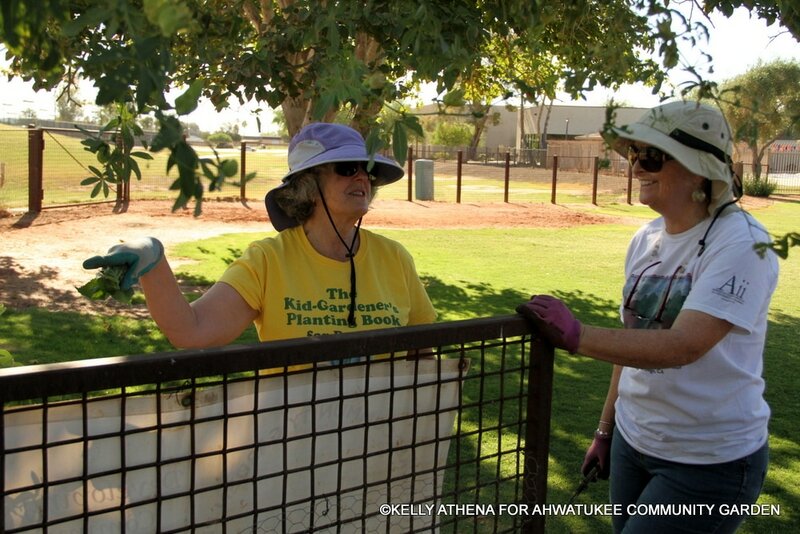 Ahwatukee Community Garden's mission is to develop and nurture community gardens and gardeners in Ahwatukee. 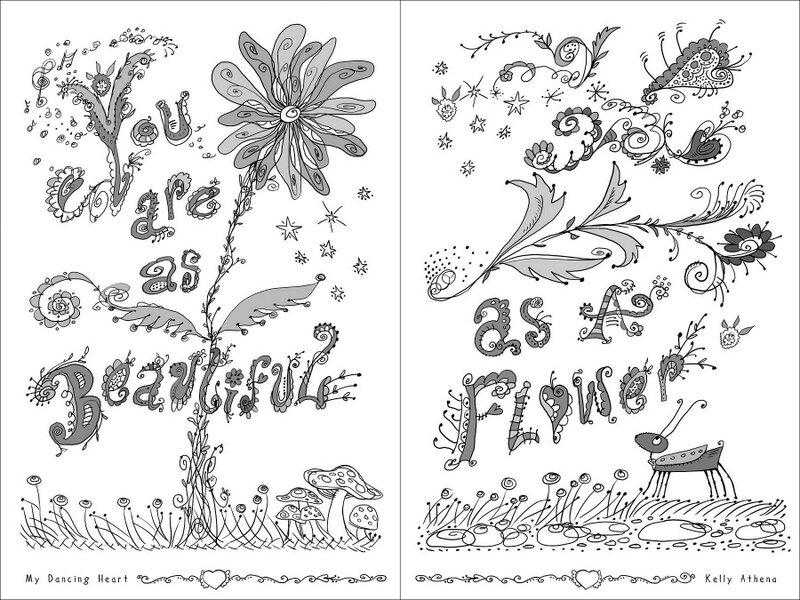 See our latest photos here! We have 3 waist-high "Keyhole Garden Beds" built by Brett Bell and his crew for his Eagle Scout Project. Thanks, Brett!! 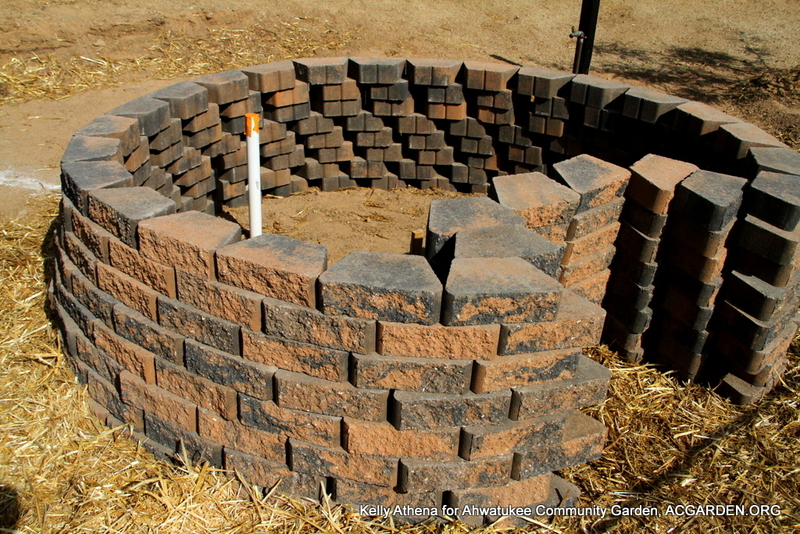 One of our three Keyhole Gardens at Ahwatukee Community Garden Project. We filled one keyhole on July 20, 2014, and the second two on Sept. 28, 2014. A Boy Scout constructed these for his Eagle Scout project, Brett. We learn about low desert gardening from our Master Gardeners, Linda R., Linda T., Bob, Bill, and Kelly, and we socialize with fellow plant lovers. 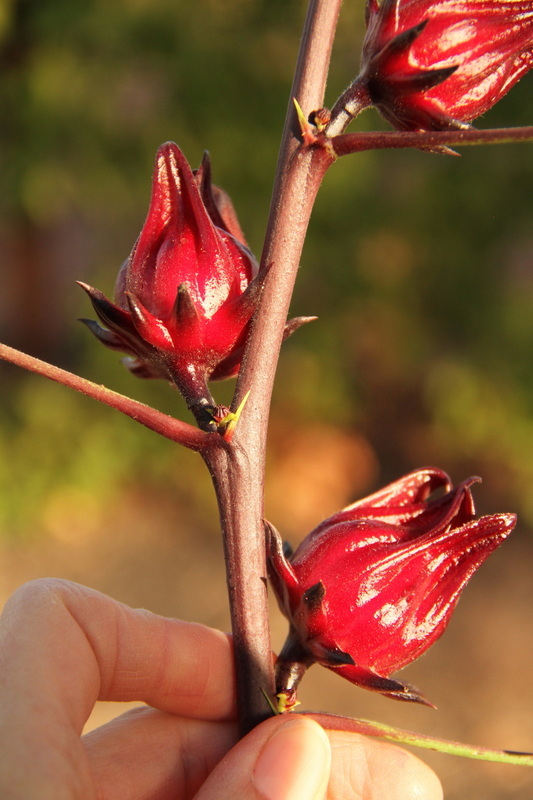 Beginners who have never gardened before or are baffled by desert gardening are welcome. 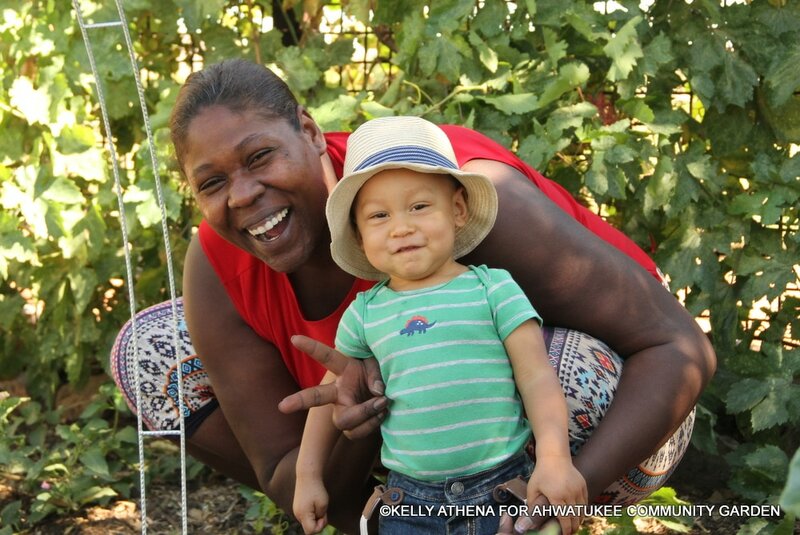 All ages from 1-100 are welcome to attend Ahwatukee Community Garden gardening sessions! Kelly Athena picks thousands of Palo Verde bean pods in May and freezes them for year-round eating. We call it Desert Edamame! 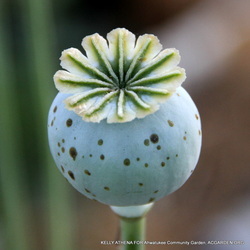 Bread Poppy seed head filled with hundreds of tiny black seeds! Check out our Blog and Photos! 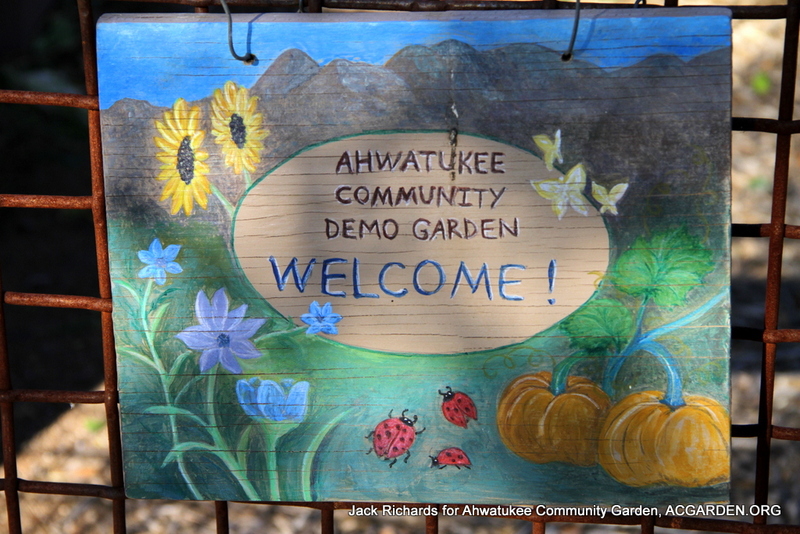 The Ahwatukee Community Garden Demo Garden was built and initially planted in the summer of 2012. 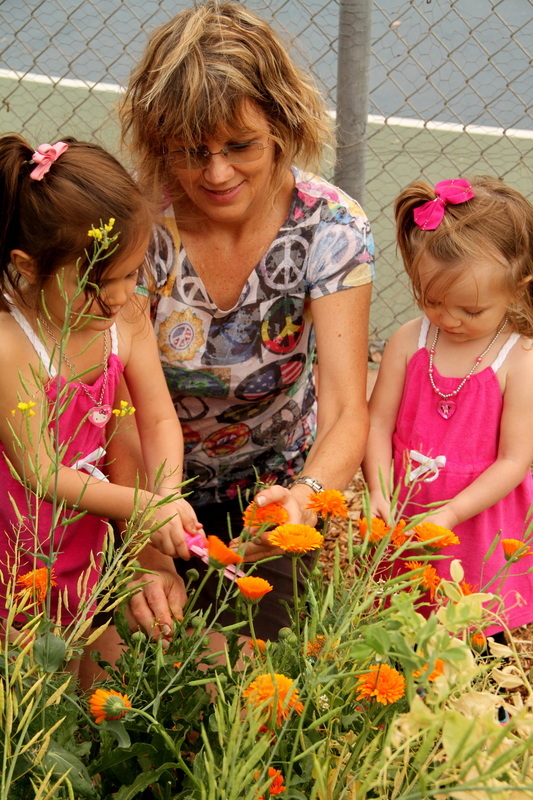 Kelly Athena shows two young visitors how to harvest calendula flowers. Since then we have provided produce to a local food bank. 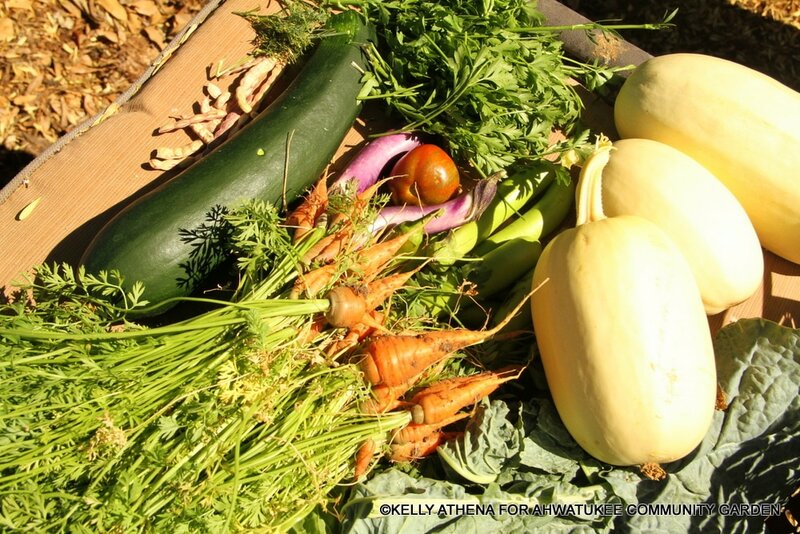 We also share vegetables, herbs, and flowers with gardeners and volunteers.